Kingston, Ont. – This summer, a number of Smith researchers were recipients of funding from the Social Sciences and Humanities Research Council (SSHRC) and Ontario Centres for Excellence (OCE). 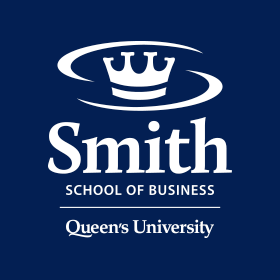 “Smith faculty are studying important business issues, for example, Indigenous entrepreneurship, innovation, leadership, and the ethics of artificial intelligence. The range of funded research projects shows the breadth of our thought leadership,” notes Yolande Chan, Associate Dean of Research, PhD and MSc Programs. “At Smith, research is a high priority. The recent SSHRC and OCE funding awards demonstrate Smith’s research commitment and success,” says Professor Chan. Additional information on these awards and research grants made earlier in the year, can be found in the latest issue of Research News.